Some of the world’s greatest abstract artists have created portraits of humans that, while inspired by the human form, have completely dispensed with any actual human’s natural proportions. 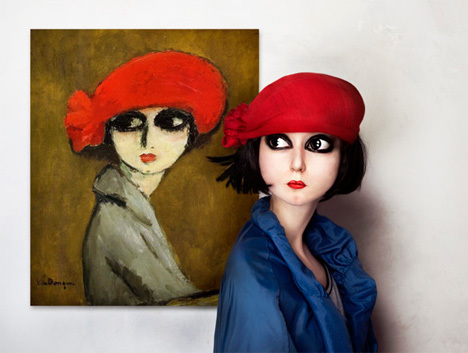 Hungarian artist Flora Borsi decided to take some of those abstract paintings and digitally create what the models would look like if the paintings were realistic depictions of real humans. The results are equal parts entertaining and disturbing. 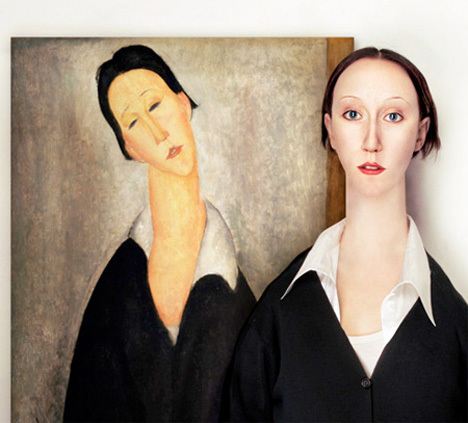 Elongated necks, exaggerated facial features, and impossible proportions make the subjects look vaguely human but not quite what we would expect from actual human models standing next to the portraits they inspired. The paintings of Modigliani, Picasso, Malevich and more are given the unusual treatment of working backwards to create something new from an already-existing piece of art. 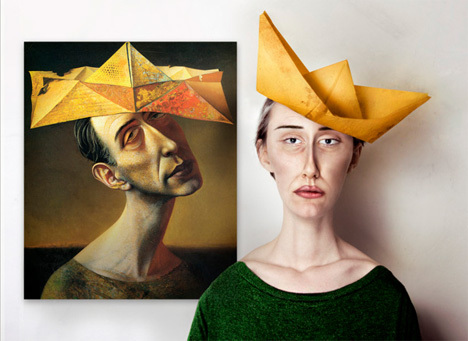 Entitled “The Real Life Models,” the project is one that takes you a bit by surprise. 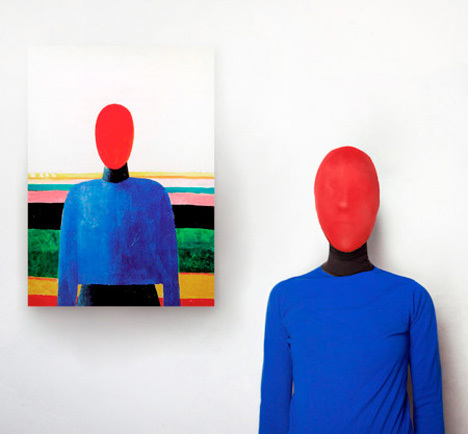 Seeing these human forms outside of their respective paintings only highlights how creative and liberal the artists were in painting the original pieces. 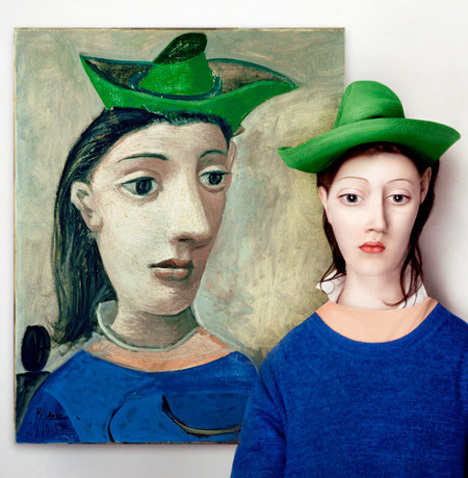 Borsi did include in her series one real historic photo of models next to the painting they inspired. 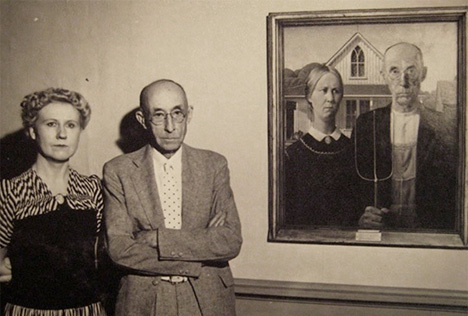 The older couple who actually posed for Grant Wood’s “American Gothic” are pictured next to their own portrait, looking nearly as sullen as they do in the painting.